Our new interview series: “Is there a concentration problem in America?” On March 27-29, the Stigler Center will host a first-of-its-kind, three-day conference that will focus on this very question. Ahead of the conference, we asked influential scholars and public intellectuals about the potential effects of concentration on the U.S. economy. 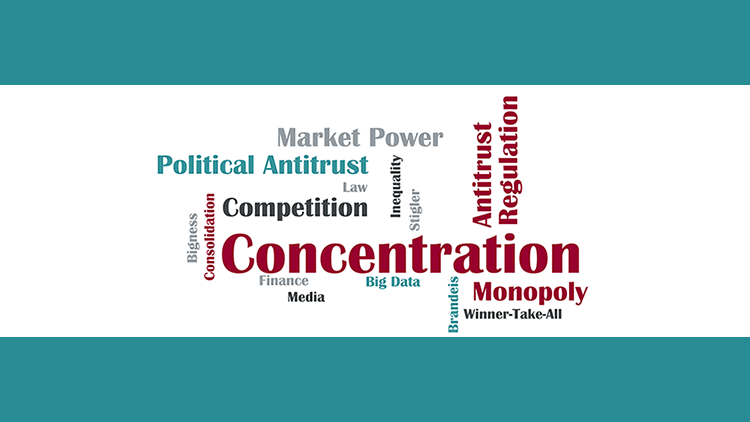 In the first installment, John Kwoka of Northeastern University shares some thoughts on competition and antitrust in the age of Trump. The conference will bring together dozens of top academics from law, economics, history, and political science, along with policymakers, journalists, and public intellectuals, including two keynote speakers: Margrethe Vestager, the European Commissioner for Competition, and Judge Richard A. Posner of the U.S. Court of Appeals for the 7th Circuit in Chicago and the University of Chicago Law School. Ahead of this conference, we decided to present influential scholars and intellectuals with some questions on concentration, market power, and bigness—and their potential effects on the U.S. economy. 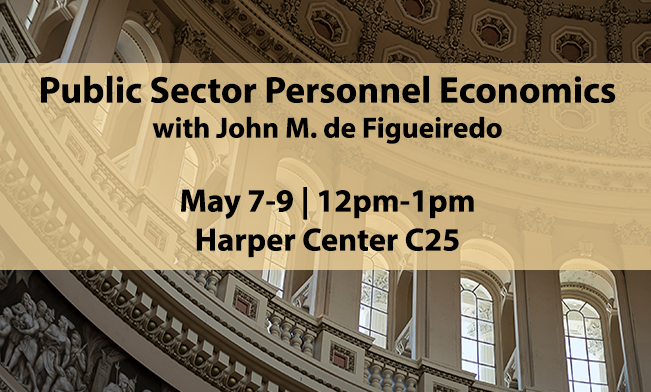 John E. Kwoka is the Neal F. Finnegan Distinguished Professor of Economics at Northeastern University, where he teaches and conducts research in the areas of industrial organization, antitrust, and regulatory economics. 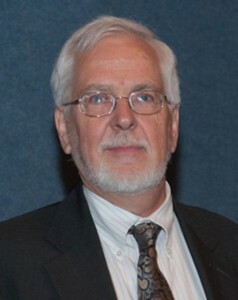 His recent research has focused on the effectiveness of merger policy in the U.S. His book Mergers, Merger Control, and Remedies in the United States: A Retrospective Analysis (MIT Press, 2015) evaluates the effects of mergers and the effectiveness of merger control and remedy policy. Kwoka has also worked at U.S. antitrust and regulatory agencies—the Federal Trade Commission, the Antitrust Division of the Justice Department, and the Federal Communications Commission— and serves as adviser or consultant to these agencies, as well as to those of other countries and international agencies. In an interview with ProMarket, Kwoka shared some thoughts on concentration in the U.S. and its potential effects. There is convincing evidence that concentration has been rising and ample evidence for concern that the competitiveness of the U.S. economy has diminished. Several recent studies have shown that measured concentration has risen in a large majority of industries and sectors over the past twenty years or so. A number of these and other studies also report that the number of new business start-ups has fallen, that entry into many markets and occupations is increasingly difficult, and that the number of companies in major markets has decreased substantially. With rising entry barriers and reductions in firm numbers, this increase in concentration has been linked to ever-greater profits for the largest firms in each market, reductions in the labor share of GDP, greatly rising salaries of major firm executives, rising income inequality, and reduced business opportunities, as well as the hallmark of reduced competition, namely, rising prices. While there are other causes for some of these, the overall picture is troubling. Natural factors include such fundamental economic forces as network sectors which do not favor fragmented industries and have taken on greater importance in the economy. Strategic forces are efforts by incumbents to insulate themselves against entry by creating barriers (controlling distribution systems, patents, etc.) and by using the regulatory process to handicap entrants (Tesla, Uber, the professions, etc.). Policy factors include the shift in antitrust enforcement away from challenges to “rising-concentration” mergers, the considerable deference being paid to dominant firms (Google, Amazon), weaknesses of remedy policy, and the inability to prevent the development of many strategic barriers. 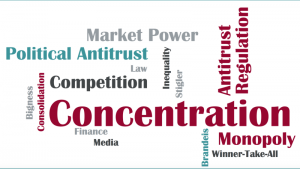 The list of industries raising concern with competition is suggested by the three types of factors noted as contributing to the rise of concentration. From online search to teeth whitening to hospitals and airlines, there are major concerns with the functioning of markets. Other examples would include pharmacies, hotels, rental cars, ticketing services, cable TV, dog food, baby food, pharmaceuticals, beer, eyeglasses, real estate, and many more. These sectors have undergone major consolidation and in addition no longer exhibit significant entry. The best documented examples of specific adverse effects probably come from so-called merger retrospective—careful economic studies of performance before-and-after a merger, controlling for other possible influences. My compilation of such studies finds that more than three-quarters of the mergers resulted in price increases. Few showed improvements in quality, cost, or other non-price measures. Collectively, these results cast doubt on the view that mergers are efficiency enhancing and raise questions about merger enforcement. It certainly was the case that the financial crisis resulted in consolidation among firms in the finance sector itself, perversely increasing concern about systemic risk and “too big to fail.” While the urgency of events at the time made it difficult to pause and consider the antitrust implications, it was unfortunate that antitrust had no seat at the table. Subsequent events have strengthened the linkage between the financial sector and competition in the real economy. Recent studies have documented the extent of cross-ownership of competing firms in the same market by a very few large financial institutions. This cross-ownership appears related to reduced strength of competition among the actual sellers of some product or service, that is, a higher price reflecting the subtle influence of these large common owners in reducing market competition. We are just beginning to understand how widespread and effective this indirect coordination may be. Antitrust theories in principle can deal adequately with competition problems raised by these firms and their market dominance. It is the application of those theories and the precision of their predictions that may be more complicated. Some cases might involve as their central issues the harm to competition from exclusionary practices or from diminished innovation. Others may involve network effects, tipping, or two-sided markets. Our economic models with respect to these factors are generally not as well developed as those that address, say, price effects. Models will continue to tell us what to look for in order to assess competitive effects under these circumstances, but clear predictions are often more difficult in practice. To take a simple example, does a pharmaceutical merger enhance or detract from innovation? To begin, we lack reliable metrics for innovation; it is surely not the same as R&D. Then, too, the effect of changes in concentration on innovation (however measured) may depend on whether an innovation is product or process, or whether there is good IP protection or not, or other considerations. This is unlike measuring and interpreting a price rise. Some studies have found such a connection. 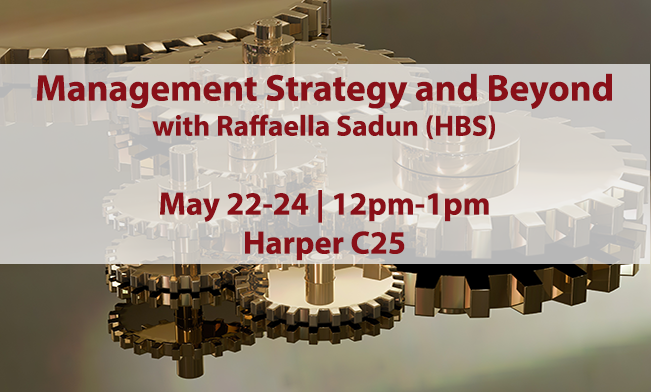 Perhaps most notably, Autor and co-authors have developed and tested a “superstar” model in which markets are increasingly dominated by heterogeneous firms and a winner-take-all competitive process that favors those using lower labor. The result is that market concentration rises while labor’s overall share falls. Using a different model and data, independent work by Grullon and co-authors corroborates this. A study by Barkai has reported that lower labor share does not mean higher share to capital, but rather firm margins and profits and a reduction in consumer welfare. Separately, compensation literature finds that an increase in profits contributes directly to higher corporate salaries and greater income inequality. This president does not seem to have so much a policy as a series of ad hoc reactions to events. So while some of his reactions have seemingly opposed major mergers and dominant firms, just as often he has shown little regard for competitive principles. What seems entirely possible, and unfortunate, is the emergence of an antitrust process compromised by parochial interests, non-economic objectives, and ad hoc decision-making. By that I mean that companies and executives may plead their cases directly to the president by invoking job creation or some other personal preference, after which the president injects himself into the antitrust law enforcement process whose independence, with few exceptions, has historically been respected by all administrations.